On WEDSESDAY, 12th of NOVEMBER, 1834. COMPRISING 13 prime in calf, down-calving, and new-milch cows, one cow and calf. 13 sturks, one bull; 6 useful draught horses and mares, one mare and foal, one grey horse (entire) two years old; 33 ewes, tegs and one tup ; two narrow-wheel waggons (nearly new), one other waggon, capital six-inch and narrow-wheel carts, with copses complete, three sets of thill harness, five sets trace ditto, capital rick cloth, one drag harrow, three pair small harrows, field roll, one plough, three swing and one wheel ditto, 11 cow-cribs, three sheep ditto wheels, 30 round and other ladders, chaff box, brining tubs and stands 12 dozen hurdles, wheelbarrows, grindstone and posts, drag and other rakes, forks and implements generally. Also 12 acres capital turnips (to be spent on the farm). 1½ acres of grass keeping. 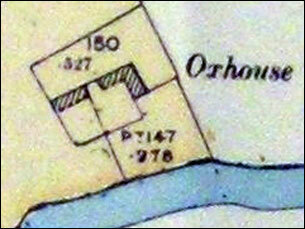 Home Close, 21 acres of ditto, Lord’s Fields, and use shelter hovel, 28 acres of ditto, The Meadow, till Old Lady-day, 1835. Three months’ credit will be given for the turnips and keeping, approved joint security, and paying a deposit. ALL Persons having any Claims or Demands on the Estate of the said HARRIS BAKER, deceased, are requested forthwith to deliver the Particulars thereof to Thomas Powell, Calverton, the County of Buckingham, Victualler, to William Green, of Stony Stratford, the same County, Butcher, the Executors of the said Deceased. And all Persons who stand indebted the Estate of the said Harris Baker, deceased, are requested pay their respective debts, either to the said Thomas Powell or William Green one month from the date hereof. RESPECTFULLY announces, that he has received instructions from the Executors of the late Mr. William Green, Stony Stratford, offer for Sale by Auction, the whole of the valuable Live and Dead Farming Stock, Hay, Keeping, &c, on the Farm, Cosgrove, Northamptonshire. Particulars of which, with Day of Sale, will appear the following week's Paper. On WEDNESDAY next, November 7th, (by order of the Executors), the property the late Mr. Wm. Green, Stony Stratford. THE LIVE STOCK consists of 97 Leicester ewes, 32 fat ewes and shearhogs. 70 tegs and 1 capital tup, 4 barren cows, 3 in-calf ditto, 1 Alderney cow and 2 heifers in-calf, 4 fat calves, 9 young cart horses and mares, and yearling colts. The DEAD STOCK comprises 3 narrow wheel waggons, .5 six inch carts with copses, 9 sets cart harness, pairs of harrows, 1 drag harrow, 2 field rolls, 4 swing ploughs, 2 wheel ditto, quantity of hurdles, cow and sheep cribs, stone hovel, posts and caps, oak barn floor and sleepers, &c. &c.
Rick of prime hay, about (to be taken off). Upper Ox House Ground, 20 acres of capital grass keeping, and 8 tons of hay. Lower House Ground, 36 acres of grass keeping, and 8 tons of ditto. Dead Man's Meadow, acres grass keeping, and 17 tons of ditto. Lower Meadow, 33 acres of keeping. The sheep will be penned at 9 o'clock at the Ox House Farm, where the Company is requested to meet, and the Sale will commence 10. Catalogues will be prepared, and may be had three days' previous to the Sale, the principal Inns in the Neighboured; of the Auctioneer ; and at J. Sleath’s Printing Office, Stony Stratford. William Bignell, aged 18, was charged with having, at Cosgrove, maliciously set fire to certain stacks of corn, grain, straw and hay, the property of Jabez Scrivener, and to certain barns, cowhouses, hovels and other buildings, in the occupation of the said Jabez Scrivener. Mr Miller appeared for the prosecution and Mr Flood for the defence. John Durham, land surveyor, of Stony Stratford, made the plan produced and vouched for its accuracy. Jabez Scrivener lives at Cosgrove, and farms some land there. Another portion of the farm is about a mile distant. The latter consists of two fields called upper and lower oxhouse. There is a cottage there occupied by John Bignell, father of the prisoner. On the 5th of January last had a stack of hay, a rick of oats and some straw on the premises. Employed prisoner about four years ago. Refused to employ him about a fortnight ago on the application of his mother. On the evening of the 6th of January last, there was a fire, which burnt part of the hay, all the oats, the straw and part of the farm-buildings. Cross examined by Mr Flood. 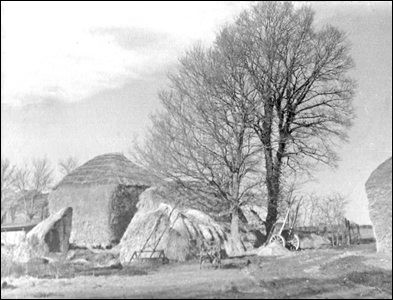 The farm-buildings consisted of barn, stable and cowhouse. George Ratcliffe is a labourer at Cosgrove. About a fortnight before, saw the prisoner in Mr Jelly’s field. Witness’s brother and Joseph Jones were there. Jones had a pipe. Bignell lighted it for him with a lucifer. The pipe went out, and Jones asked Bignell for another light, but he said he could not give it him. On the evening before the fire, went to look for work with Bignell and Perkins to Newton Longueville. Did not obtain it, and Bignell and witness slept in Mr Scrivener’s hovel. In the morning went together to Bignell’s cottage and had some breakfast, and then went on to Stony Stratford to see the relieving officer. On the way back, prisoner said he would set some place on fire before long. Witness said he should not say such words as that, as very likely it would get him into a “skirmish”. Parted with him at the Green Bridge, Cosgrove, about half-past ten. Saw no more of him that day. By the Bench. Was himself charged with this fire. Rd. Anstell is a baker, in the employ of Mr John Rolfe, baker, of Newport Paguel. On the 6th of January was in the employ of a brother of his present master, of Stony Stratford. Took some bread to Bignell’s cottage. On his way he passed through Johnson’s meadow, the upper oxhouse ground, the farm-yard; and along the lower oxhouse ground, and when at the end he saw the prisoner. Went on with the bread; stopped at Bignell’s house two or three minutes, and set out back again by the same route. Saw prisoner about the same place. He said he had lost his knife and he would go along with him to see if he could find it. He went up the meadow with witness as far as the farm-yard. The footway goes by the lower part of the rick yard. There prisoner went up towards the ricks, saying he must look for his knife. Witness went home. It was a damp evening. It mizzled with rain and witness ran as hard as he could. When he got to the turnpike road he turned towards the bridge, and then he saw some men watering horses. They were about 20 or 40 yards off. Could not see them distinctly as it was getting dark. On getting to the bridge he saw a fire at the rick yard. (The distance from the rick yard to the Bridge is 628 yards, and from Bignell’s house to the rick yards, on the other side, is 662 yards, so that it is nearly mid-way.) Went on to Stony Stratford and then returned to the bridge. There was a crowd of persons there, and among them the prisoner. He said he had got in the little meadow near home when he smelt smoke, and turned around and saw the fire. Witness saw no men about the rick-yard, nor anywhere till he got to the bridge, and saw the two men with the horses. Cross examined by Mr Flood. Went back to the fire. A great many persons were there. Richard Chibnell is relieving officer of the Potterspury Union. Saw the fire at Mr Scrivener’s rick-yard. Prisoner had been that morning to ask for work. Witness did not give him a paper as he was going from home. Went to the fire and saw the prisoner there, near the sheep pens, about 50 yards from the sheep pens. Asked him where he was when the fire broke out. He said he was at home. Witness said he could not see the fire at his father’s house, as the windows looked at an opposite direction. He said he was in the field. Cross examined by Mr Flood. Prisoner had a pail in his hand. Thos. Hogg, a police officer, was present when the prisoner was apprehended on the 9th of January. Asked him if he knew why he was apprehended. He said he guessed about the fire. Afterwards he said he and Ratcliffe slept in the hovel the night before the fire, breakfasted at his father’s, went to Stratford to see the relieving officer, then to Wolverton and got home about one. He was employed the whole afternoon gathering sticks which Mr Scrivener had given his father. About four o’clock he went in, and was never out till about five. He then went out for a few sticks, saw a smoke, and heard the cry of fire, and then ran up to Cosgrove and afterwards to the fire. When he came out of his father’s house he saw two or three men standing against the pens under the hedge. He thought they were Mr Scrivener’s men spreading manure. Witness searched him, and found some fragments of Lucifer matches in his waistcoat pocket. He said he did not know how they came there. Mr Congreve produced the statement of the prisoner before the magistrates. It was to the same effect as his statement to Hogg. Mr Scrivener re-called. The prisoner was the first who gave the alarm to Mr Scrivener. A third person was taken up on this charge. Mr Flood addressed the jury for the defence in a speech of some length; but the jury found the prisoner Guilty, and the Learned Judge sentenced him to Fifteen Years’ Transportation. William Bignell was removed from Northamptonshire County Goal. He was ordered to be placed upon the York Hulk, at Portsmouth, but in consequence of the vessel breaking from her moorings he was placed on the Leviathan. William was eventually one of 500 convicts transported on the vessel HMS Anson on 23rd September 1843 bound for Van Diemen’s Land (Tasmania). The ship docked at Plymouth and set sail on October 1st 1843. HMS Anson arrived in Hobart on 4th February 1844. William is not listed in the Convict List for Van Diemen’s Land. By direction of Mr. Henson Pike, of Cosgrove, who is relinquishing his occupation. The above Fields are healthy old turf, within two minutes’ walk of Old Stratford, and have a never failing supply of water. The fences are in good order, and a shepherd will be found to look after the stock. Credit will be allowed under the usual conditions. The company is requested to meet the Auctioneer at Lot 1. At 4.30 o’clock. We regret to record the death of Mr James Henson Pike, son of the late Mr William Pike, of Castlethorpe, which occurred at his residence, Castle Ashby, on Tuesday night. Mr Pike had been ill for the last six months, death being due to a clot of blood on the brain. He was 60 years of age. Mr Pike was one of the oldest and most respected tenants on the Castle Ashby Estate, on which he had farmed for over 20 years. His father was one of the pioneers of the introduction in this country of steam cultivators. 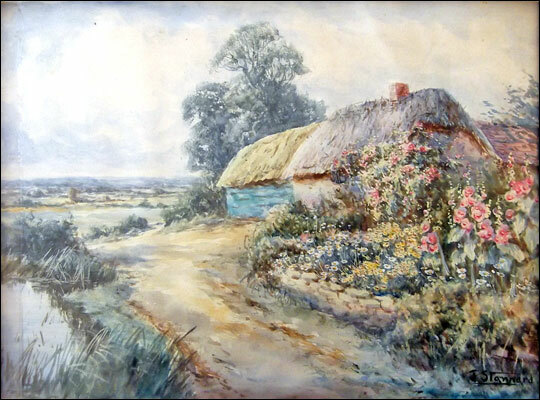 After being educated at Old Stratford and Eaton Socon, Mr Pike learned farming under his father, and then farmed on his own account in Wicken and Cosgrove. Whilst in that district he served on the Towcester Highway Board. At Castle Ashby he farmed close upon 500 acres around the Castle; 400 acres being grass and 100 arable. He went in for cattle  shorthorn and Welsh runts  and Oxdown sheep, whilst he was very proud of harness horses. Although not caring for publicity, Mr Pike took his share of public work. He represented Castle Ashby on the Hardingstone Board of Guardians, and Rural District Council, and was a member of the Northants Agricultural Society, the Northants Chamber of Agriculture and the Northampton Branch of the Farmers’ Union. He had been one of the Chuchwardens of Castle Ashby for 20 years. Mr Pike was held in high regard by the late Marquis of Northampton and in this connection it is interesting to note that he made the public presentation to the present Marquis at Castle Ashby at his coming of age. Mr Pike’s wife died about fourteen years ago, and there are no children. During his last illness Mr Pike had been assisted in the management of the farm by his brother, Mr Thomas Pike. The funeral will take place at Castle Ashby on Tuesday. situate in Cosgrove Parish within a few minutes' walk of Stony Stratford. West boundary on No. 151 on Plan. Rates. The remainder is in hand. The Towcester Rural District Council at its full meeting on Tuesday, 28 April approved amended recommendations of the Public Health Committee relating to the proposed sewerage scheme for the villages of Deanshanger, Cosgrove, Old Stratford, and Furtho, costing £19800. 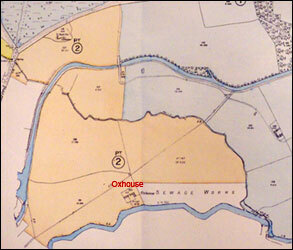 The suggested savings to the original scheme which was to cost £24,000 are as follows: at Deanshanger, instead of pumping the sewage from A to B as shown on the plan, it is just possible to convey the sewage of Deanshanger to the Oxhouse site by gravity, and so omit the pumping station entirely. There is no appreciable saving of capital costs by this alteration, but the saving in annual costs will be considerable. At Cosgrove, long gravitating sewer to be omitted and the whole of the Cosgrove sewage to be pumped direct from Cosgrove on to the Oxhouse site, saving £2750. At Old Stratford, omit on the Mount Hill estate west of Mount h]Hill Avenue sewers shown on the plans in future roads to be laid out further south west, saving £200. At Deanshanger, omit sewer from the bridge near the Manor Farm going north across the canal up to “The Kiln” saving £300.